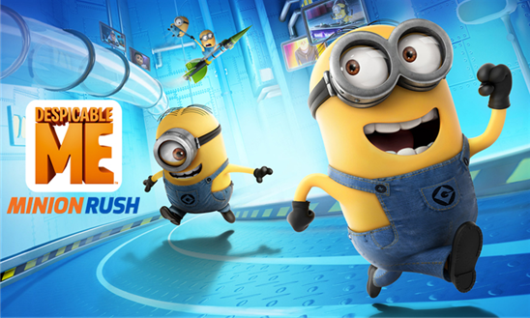 Let's play as minion to complete all the challenges and missions. 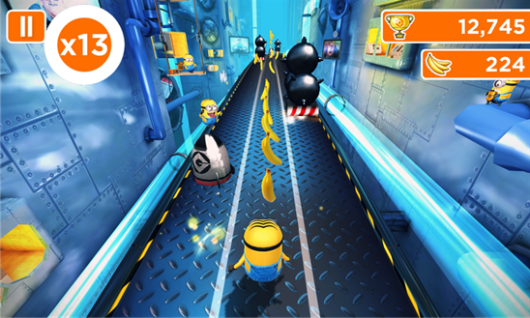 Run as long as you can run and collect some bananas to gain your points. Be careful from several secrets and tricky obstacles: Gru’s Lab, Gru’s Residential Area, and El Macho’s Lair!. Run through iconic locations, which are full of surprises, secrets and tricky obstacles: Gru’s Lab, Gru’s Residential Area, and El Macho’s Lair! Have fun with your friends! 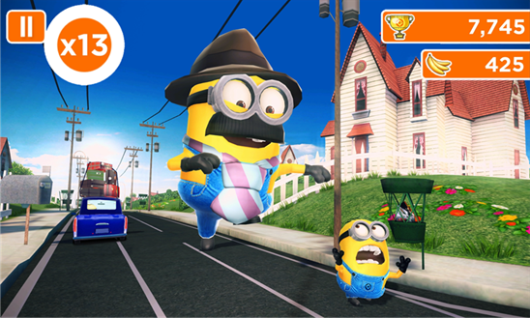 See their best scores during your run, and send them funny Minion taunts and challenges to show them who’s going to win Minion of the Year!